Updated site for 2018, with a new look! Responsive site with all social media connected. 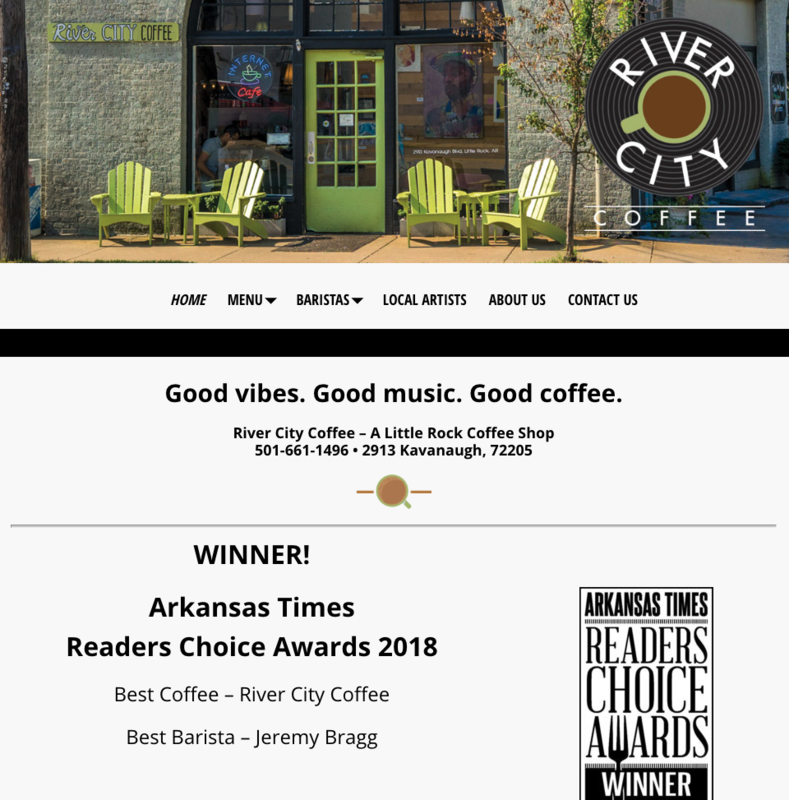 In late 2013, River City Tea Coffee and Cream changed owners, shortened their name to River City Coffee, and moved two blocks down the street. In addition, another coffee shop was scheduled to build out in the old space. So, it was imperative that we not only update their listings to the new location, but correct those old listings. In addition, we applied the Quartzlight website transformation package. This new site has a clean front page, with a traditional header and sidebar on the inside pages. In addition, the site is responsive to both smartphones and tablets. After the site was finished, we applied the SEO breakthrough package. Through this alignment and better SEO, this client is seeing an increase in customers. (Google search “little rock coffee” and see for yourself. ).